A unique retelling of the life, death and resurrection of Jesus Christ in comic-strip style. A visual storyboard of the life of Jesus. 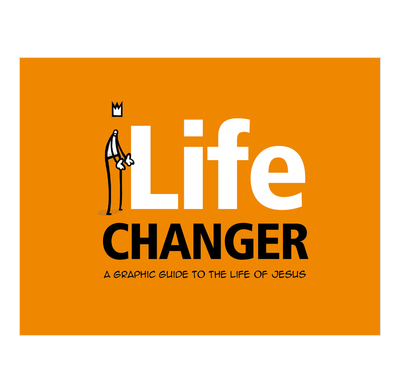 Illustrator Jason Ramasami outlines the gospel message, from the cradle to the cross and the empty tomb, in comic-strip style. A fantastic little book that I bought as a 'start of the new school year' gift for our Junior Church kids, and gave out to ages 8 through to 15, and they all loved it! My 8 year old read it 4 times over before bed and took it to school to show his friends, and I noticed the 15 year olds reading it so it obviously got their attention too! The cartoon style means it is effective over a wide age range, both boys and girls. And explained things in a way that they will remember! Loved it! This is an excellent little book. Perfect to give to those who do not like the conventional, wordy christian tracts. It gives the reader a good starting point to Jesus' life and provides the biblical references to look into the stories in more detail. I would give it to new christians and young teenagers. Fantastic illustrations! An attractive and interesting way of presenting the Gospel message.